Yesterday, Facebook announced its second blockbuster acquisition in less than a month as it purchased Oculus VR for $2 billion. 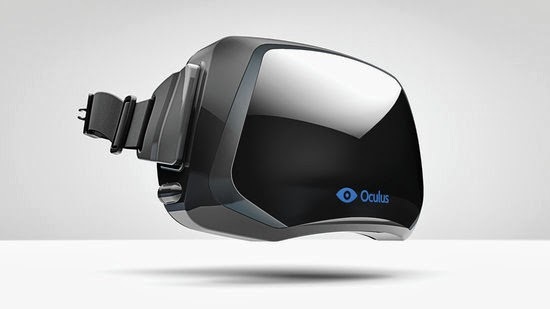 Oculus VR's virtual reality headset was built to focus on immersive gaming experiences, but Facebook aims to eventually expand its use cases. Does this put Facebook in a position to create the next major platform? After games, we're going to make Oculus a platform for many other experiences. Imagine enjoying a court side seat at a game, studying in a classroom of students and teachers all over the world or consulting with a doctor face-to-face -- just by putting on goggles in your home. This is really a new communication platform. By feeling truly present, you can share unbounded spaces and experiences with the people in your life. Imagine sharing not just moments with your friends online, but entire experiences and adventures. These are just some of the potential uses. By working with developers and partners across the industry, together we can build many more. One day, we believe this kind of immersive, augmented reality will become a part of daily life for billions of people. In a way, Facebook sees augmented and virtual reality devices as a whole new computing platform and I'm inclined to agree with him. I would hesitate to brand these devices as "wearables" as the term is currently used to describe sensor-laden devices like fitness bands and smartwatches. Essentially, this definition of "wearables" refers to devices with a very limited "job to be done". As hardware categories go, these are better positioned to become "add-ons" as opposed to full-fledged computing devices. While "wearables" could see quick adoption, their use cases could be extremely fragmented (health may not be one size fits all). As a result, we may see a deluge of devices that need to tie into an existing platform like iOS or Android. Some observers put "field-of-vision" devices in the same category and I think that's problematic. Augmented/virtual reality devices like Oculus Rift, Meta and Google Glass enable computing within your field of vision and could eventually have much broader applications. Since the technology is still in its early stages, these devices will initially appeal to niche segments within specific industries -- for example, Oculus Rift for gamers or Google Glass for medical professionals. But as technology improves, they could offer benefits unmatched by any other device category. This could be genuinely disruptive to existing mobile computing platforms. Many industry observers tend to reject the potential of "field-of-vision" devices as mainstream computing platforms because of the barriers to social acceptance. The common objection is that wearing a device on your face is likely to evoke strong, negative reactions from those around you. There are two sides to this argument -- 1) Device design, 2) Unspoken rules of social etiquette. The image above compares today's Oculus Rift to Motorola's first mobile phone prototype, the DynaTAC. Understandably, both look quite ridiculous and neither would be accepted socially. 20 years ago, few saw the potential of the mobile phone as the next major computing platform. However, technology improved and so did device design resulting in gradual consumer acceptance. With the current pace of technological improvement, the design of AR/VR devices could become acceptable within 5-10 years. The time frame for adoption is certainly longer than "wearables", but their potential is also much higher (albeit risky). The appearance of Eastman's cameras was so sudden and so pervasive that the reaction in some quarters was fear. A figure called the "camera fiend" began to appear at beach resorts, prowling the premises until he could catch female bathers unawares. One resort felt the trend so heavily that it posted a notice: "PEOPLE ARE FORBIDDEN TO USE THEIR KODAKS ON THE BEACH." Other locations were no safer. For a time, Kodak cameras were banned from the Washington Monument. The "Hartford Courant" sounded the alarm as well, declaring that "the sedate citizen can't indulge in any hilariousness without the risk of being caught in the act and having his photograph passed around among his Sunday School children." The thing to understand about social etiquette is that it evolves as people are exposed to newer technologies. It was once considered unacceptable to carry a camera in public. Today, a camera is an integral part of a device that most people carry around in their pockets. As long as we keep the 5-10 year time frame in mind, it isn't really that much of a stretch to imagine "field-of-vision" devices being used by mainstream consumers. The real challenge for Facebook will be to compete with other companies in the space and build an industry-leading ecosystem around these devices. Finally, as I've stated many times before, this acquisition does not signal a shift in Facebook's business model -- their goal is still to own consumer attention. But, as in Google's case, their business model is dependent on owing or being present on the right platforms at the right time. If that happens to disrupt existing computing platforms or hardware companies, so be it.